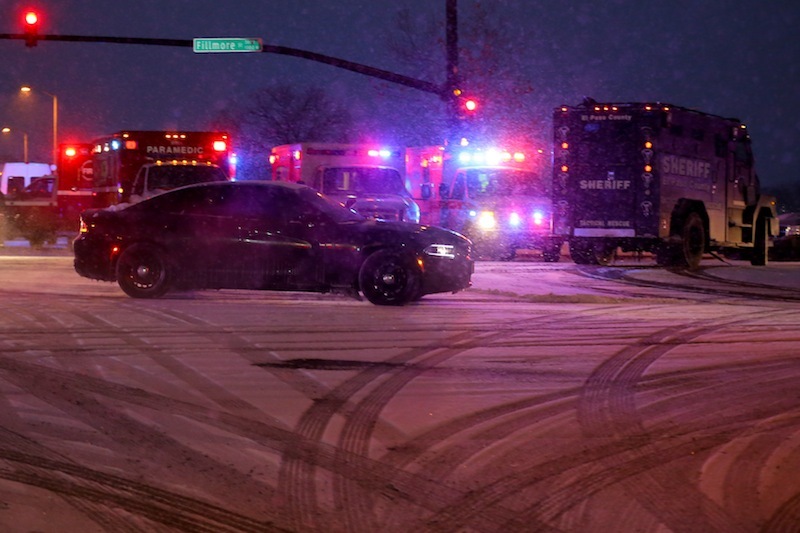 After the devastating shooting at a Planned Parenthood clinic in Colorado Springs, Colorado, on Friday, commenters (welcome and not) have come out of the woodwork to give their hottest takes. A few, including a large slice of the candidates for the highest elected position a politician can hold in the U.S., have remained silent as a power-hungry throng of church mice. So far, the Democrats, Bernie Sanders, Hillary Clinton and (yes, he’s still in the race, don’t be mean) Martin O’Malley have all tweeted their condolences, each voicing support for the women’s reproductive health organization. But as ThinkProgress points out, almost none of the Republican candidates, however, have weighed in as of Saturday evening—unusual, given that politicians are often the first to jump on a tragedy for compassion points. Most of them have refrained from even tweeting, except Sen. Ted Cruz, who tweeted about the incident, careful not to mention Planned Parenthood. Here are some of the things the Republican candidates have been tweeting about instead: a reporter who has a disability, cowbells, sports, small businesses, and, of course, deals. Meanwhile, because the world is a dark, dark place, some pro-life commenters have seized on the tragedy as an opportunity to applaud the shooter, saying that he was right to attack a Planned Parenthood clinic.Some have even tweeted that unborn babies were “saved” by the shooting. While some are upset that politicians have remained silent, it’s also become clear that, in the wake of a tragedy, some people should never tweet. Republican presidential candidate became the second of his cohort to comment on the shooting, at 6:19 p.m. on Saturday. Most of the Republican candidates have weighed in on the shooting at Planned Parenthood by now. Some better than others. Donald Trump called the gunman “a maniac.” Carly Fiorina called him a “protester.” Ben Carson said told “the rhetoric from either side” should be toned down. Still silent among the major contenders: Chris Christie, Rand Paul and Marco Rubio, who doesn’t have anything else to say.